The Douglas Elliott Vintage Reprise has been a popular choice for couples who want a vintage look without the vintage trappings like high, bulky settings. 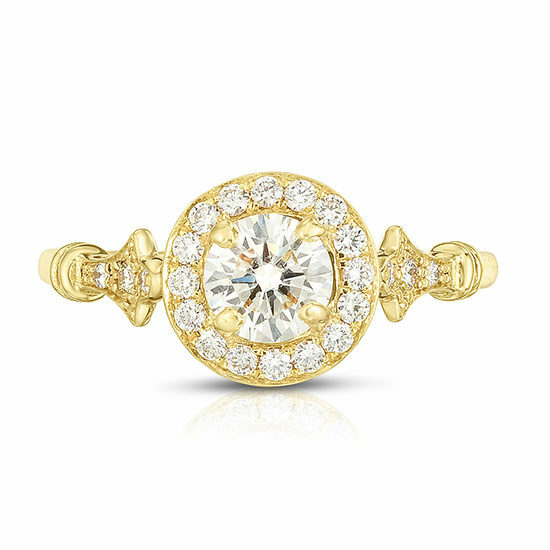 The Vintage Reprise Setting was built around this 0.50 carat G Color SI1 Clarity Round Brilliant cut Diamond. Shown here surrounded by a set of Sunburst Divot Rings. These Divot Rings can be worn on their own as dainty fashion pieces or as a Wedding Ring set for the Vintage Reprise Engagement Ring. 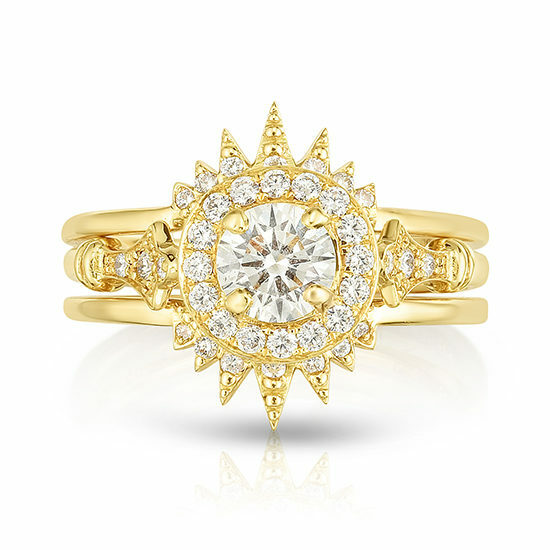 The Sunburst pattern makes a bold statement reminiscent of a Rococo accent in Paris Salon, yet is also delicate and refined featuring the finest High Jewelry stone setting and gold smithing craftsmanship. Customizable in 18k yellow gold, 18k rose gold and platinum with your choice of Diamonds, Sapphires or Rubies. Made in NYC.